What is more important? Friendship, loyalty, or love? 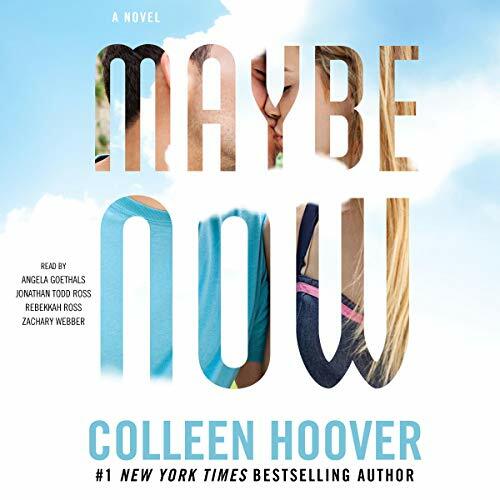 Colleen Hoover and Griffin Peterson collaborate once again to bring fans of Maybe Someday back into the musical world of Ridge Lawson and Sydney Blake. And Maggie. And Warren and Bridgette. 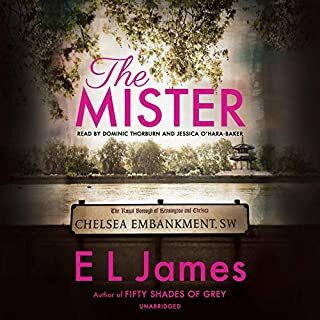 This full-length novel is a follow-up to the New York Times best-selling novel Maybe Someday. 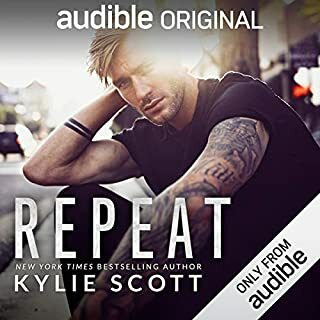 For the best listening experience, Maybe Now should be listened to after Maybe Someday and the spin-off novella Maybe Not. However, Maybe Now can also be listened to immediately following Maybe Someday. ©2018 Colleen Hoover. All rights reserved. 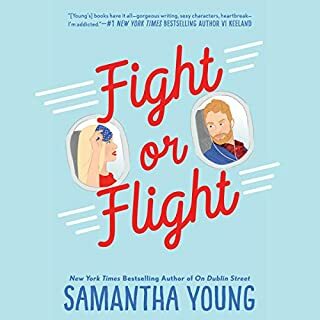 (P)2019 Simon & Schuster, Inc. All rights reserved. 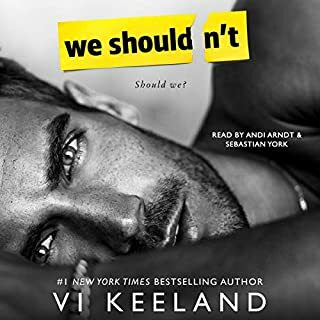 Maybe Someday was one of my favorite CoHo books so I was excited to get a little more of this story. What I loved about these characters it that they are not perfect, they make mistakes and they have jealousy and trust issues like real people. Yes they created their own issues but that is what makes it real for me. This book had me giggling so many times, the sarcasm and banter was perfect. I love Ridge and Sydney but Warren and Bridgette take the cake on making me laugh. 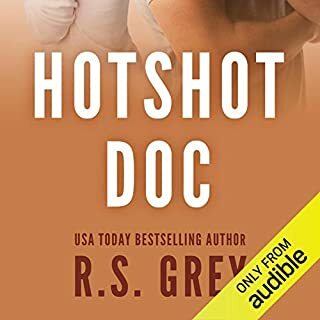 I loved seeing all of these characters get their HEA and find there way through all the drama. The narration was good, I liked that they kept the same voices for the characters. Disappointed- story never went anywhere. 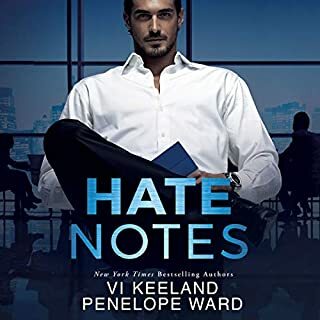 Unfortunately I was left wanting much more after Maybe someday..I thought this book would focus on Maggie and tell her story and although you got diluted versions of it it was just not impactful to me. Too many conversations about nothing at all. Just didn’t arrive anywhere. The perfect addition to the Maybe Someday series! 5 beautiful stars! 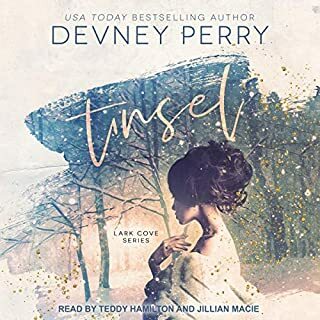 Maybe Someday was my first “favorite” audiobook! The first time I listened to it I listened to it twice back to back. It has always been a favorite of mine, so when I seen that Maybe Now was out there were no words to how excited I was. Colleen Hoover writes magic, her words are poetry, and she did not disappoint! This book was so worth the wait! It was real, and beautiful, and made me soooo happy! I’m only sad that it ended! I can’t recommend this series enough! Maybe Now starts right were Maybe Someday ends, how awesome is this! I didn’t know what to expect going in but I can tell you I wasn’t expecting that. This book takes the best parts of Maybe Someday and gives you bonus stories after bonus stories. Ridge and Sydney navigating a new relationship, which is so OMG sweet. I love how it wasn’t as easy as one would think. It’s the tough stuff that makes you stronger and I think they did a good job at communicating and listening to the other person to make it work. Maggie is and will always be a part of their lives and finding a new normal is not going to happen overnight. Seeing her understand that her illness isn’t just about her really made me think back to the first book. It made me appreciate her a little more I think because she really took a look at what others in her circle were trying to say. Bridget and Warren omg these two crack me up and are soo, soo 100% made for each other. I love how unapologetic Bridget is she is just herself take it or leave it. Warren is still Warren gotta love the man. 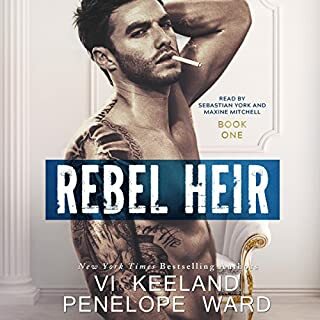 I also loved getting more of the band and Ridge’s brother that was nice we didn’t really get much of them in the first book but we got more of them in this one. I just love how these books make me feel like anything is possible. I absolutely loved this book. I wasn't sure how I was going to feel about it after reading Maybe Someday. I honestly liked this one more. Seeing the story unfold through Maggie's eyes was so nice to have her perspective on things and to have even more of the story and what happened with these characters after Maybe Someday ended was very nice. I couldn't be more happy with how Maggie's story ended as well as Warren and Bridgette's and Sidney and Ridge's. What a great conclusion. The narrators did a fantastic job of bringing these characters to life. I thought Maybe Someday was my favorite and there was no way to top it, but boy was I wrong! 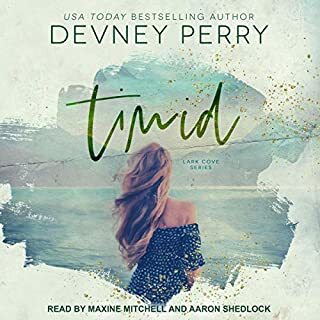 I absolutely loved this book!!! it picks up right where Maybe Someday ends, how perfect right?!! I love so much that we get Ridge & Sydney again too! it was a perfect mix between every character. There was not enough about Maggie’s story since we got so much of it already so it was more about her finding peace and a life and love of her own. It was about Ridge and Sydney fitting their lives together. It was about Warren and Bridget growing. So many things packed into one incredible book!!! Thank you Colleen for this amazing story and bringing these wonderful people to life in so many ways! I absolutely love how their lives are all intertwined and they all become best friends. I cant remember being so happy and satisfied with a series in a long time! The narration was perfect. 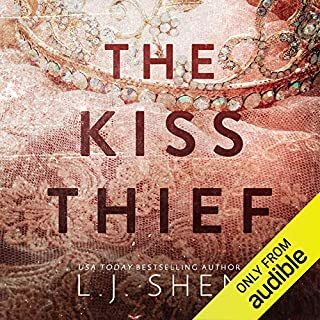 I love that Ridge and Sidney have the same narrators, that really makes a difference! Five starts is not enough!! LOVED IT!!!! 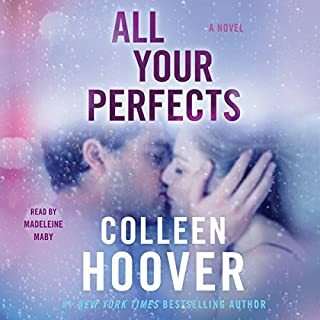 Well worth the wait, Colleen Hoover outdid the magic of Maybe Someday and has made Maybe Now one of my favorites of her audios! 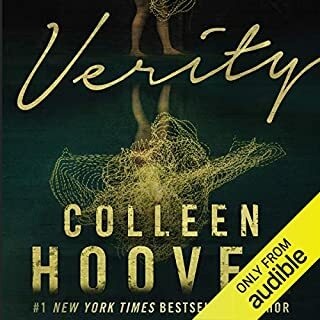 I have yet to listen to a Colleen Hoover audio that I didn't enjoy and this one just took the bar and took it up to a million more notches higher. 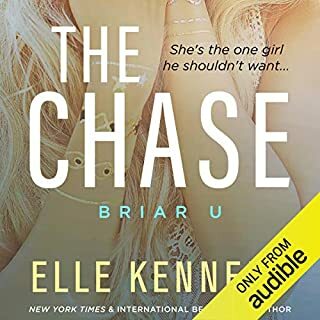 This story is so well developed and has the listener completely and utterly captivated and in love with it's characters and their shenanigans, and even though there are very serious subject matters, there is so much hope, true friendship and an overall sense of living your life to the fullest with no regrets that one can't help but completely love and root for them. 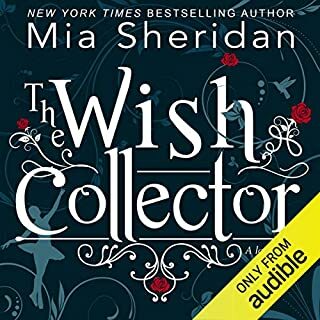 I found myself laughing out loud at so many moments, and the narration... the way each narrator brought to live their specific characters was pure perfection! 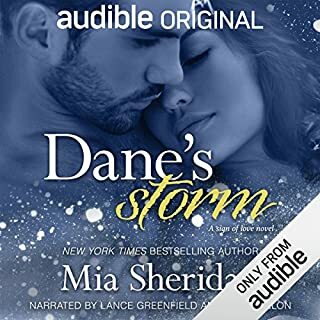 Event the way the narrator that performs Bridget, with her stoic tone of "I don't care" and Zachary Webber as Ridge when he performs those moments of total and utter adoration for Sidney or moments of revelation from how he is able to experience live through their moments of connection that I found myself totally swooning and just wanting for this audio never to end. I am even more happy that Jake came into the picture allowing Maggie an opportunity to see life as full of possibility I can't say enough about how much I loved this audio! 5 HUGE STARS!!. I loved this story. It was a perfect ending to the Maybe Someday story. The ending was perfect. I loved seeing the three love stories unfold and show their take on 3 different love stories, The story was well written and developed. It wasn’t just the love story I loved, but it was also the beautiful friendship of these characters together.